Looks like Fall is here to stay, finally, but don’t let that stop you from getting out there and enjoying your weekend! Here’s what I’ve got my eye on this weekend. I met several readers out and about last weekend, and I’d love to follow that trend this weekend. If you see me come over and introduce yourself! Venture on down to Nulu & SoFo for First Friday Trolley Hop. Be sure to stop by Garage Bar to try their Who Is Brr, cause a little bourbon never hurt no body. PLUS it will help keep your warm, right? Before checking out Transition at Regalo. Join The Fairness Campaign Join to protest the U.S. 6th Circuit Court of Appeals decision AGAINST LGBT #FreedomToMarry in KY, OH, MI, & TN! Celebrate “Day of the Dead” along the South Fourth Street Retail district in Downtown Louisville between the Seelbach and Brown Hotels on Friday, Nov. 7th from 5-9 pm. Experience a specialized bourbon tasting inside a warehouse, underneath the stunning, hand-blown glass ceiling by world renowned artist, Dale Chihuly, at Makers Mark After Dark. Celebrate lululemon athletica Oxmoor Center‘s opening with 3 days of complimentary yoga classes at Oxmoor Center. Support St. John’s Center for Homeless Men at Play Louisville on Friday night from 8-10 pm, then stick around for some of the best drag around. Stop by the November Flea Off Market to sample the wares of over 100 vendors. 15% off regular priced merchandise at Rellek, Bays Boutique, and Peace of the Earth, and $10 OFF blow your own ornament at Hyland Glass. After working up an appetite at the Nulu Holiday Open House or The Flea Off Market join LouisvilleBeer.com for a ping pong tourney (registration is closed, but you can still drink beer and watch) at BBC. There’s where I’ll be Out N Lou this weekend. Maybe I missed something though? 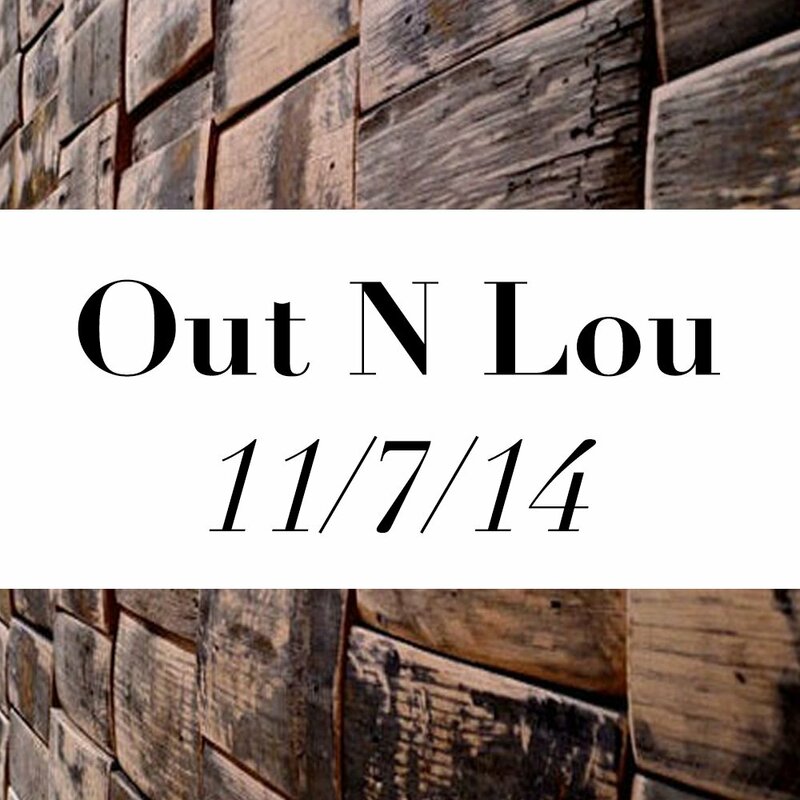 If I did, be sure to tag your photos on Instagram with #OutNLou!